Infrared saunas play an important role in natural body detoxification. If you've been reading through the articles on our site, you know that we've tried to explain the different ways that detoxifying your body with infrared sauna sessions can improve your health. We've also tried to explain how restful and relaxing infrared sauna sessions are, and how good they are for your state of mind. From reading some of our articles, many of you already realize that infrared saunas are, simply put, excellent tools for detoxification. Some of you, though, might not be completely convinced that the detoxifying properties of infrared sauna sessions are all that important. In other words, you may not be sure that natural body detoxification is worth spending much time thinking about, much less that it's worth the expense involved in buying your own infrared sauna unit or the cost and bother of going to a day spa for infrared sauna sessions. Keep reading if you're skeptical or remain unconvinced, because this article will explain why we need to be thinking about natural body detoxification. There are many ways people can come into contact with pollutants, heavy metals and other toxic substances. Some of them will probably come as no surprise. For example, if you're a few blocks away from a chemical plant that suddenly explodes and turns into a blazing inferno, it's a pretty good bet that you'll be exposed to a nasty cocktail of toxins in the smoke you're inhaling. And pretty much everyone knows to avoid skin contact with things like weed killer or insecticides whenever possible. But learning about some of the other ways people can be - and are - exposed to toxins can be something of a shock to a lot of people. For example, many everyday household products do their job, but they're loaded with potentially toxic substances. Laundry detergent, window cleaner, oven cleaner, drain cleaner, furniture polish, paint and paint thinner, kerosene and gasoline are just a few examples. Even the products that we use for our daily hygiene can be sources of toxins. For instance, most of us use deodorant, and many of us use shaving cream, suntan lotion and even creams or lotions to try to slow the natural aging process that affects our skin. 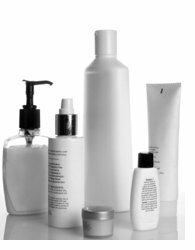 Unfortunately, many of these products - designed to improve our personal hygiene or our lifestyle - contain substances called parabens, a class of chemicals that are widely used as preservatives in the pharmaceutical and cosmetics industries. They're so pervasive that it sometimes seems like parabens are lying in wait for us everywhere we turn, and they've been linked to hormone imbalances. Still skeptical about natural body detoxification? You might be wondering what in the world possesses the drug and cosmetics manufacturing companies to use these potentially harmful substances in their products. After all, research studies have made it pretty clear that exposure to parabens isn't the healthiest thing in the world. Well, they do act as preservatives and they do prevent an array of bacteria, yeast and other fungi from growing in those products. Obviously those are worthy goals, and the manufacturers contend that the small amounts of parabens they add to their products are far too low to have any harmful impact on our health. But, toxins (or more precisely, at least some of them) can accumulate in the body. Think about what that means. The paraben levels in your body could really build up if you regularly use products like shampoo, deodorant, toothpaste, lipstick, shaving cream and so forth that contain parabens - and who among us doesn't use at least some of these products every day? Some companies try to solve this problem by omitting the parabens and instead concentrating on packaging that is designed to help preserve their products. For example, some products are sold in specially designed tubes that remain compressed when squeezed. The design of these tubes prevents air from entering the packaging and occupying the space inside the tube that had been occupied by the product before it was squeezed out. Artificial preservatives become less necessary when no air can reach the product, so parabens are left out of these products. Smart choices of cosmetics products in combination with a natural body detoxification program will help your body tremendously. We might not like it, but every day our bodies are virtually bombarded with an assortment of toxic or potentially harmful substances that can compromise our health. You can take steps to avoid exposure to toxins, like eating as much organic food as possible, or adding a few drops of etheric oil instead of foaming bath oil to your bathwater. You can also rotate the brands of different products you use on a regular basis so that your body is not continually being exposed to the same chemicals for long periods of time. For example, use Brand A shaving cream one day, Brand B the next, and Brand C the third day. Then start the rotation cycle again with Brand A on the fourth day, Brand B the fifth day, and so on. Unfortunately, although you can do some things that can help to minimize your exposure to toxins, you're probably not going to totally eliminate your exposure to these substances. They're just too universal. And that means these potentially harmful substances will eventually build up in your system and become ticking time bombs unless they're removed. That's why we need to be thinking about detoxifying our bodies the natural way. People who use infrared saunas are actively helping their bodies by taking advantage of the saunas' ability to provide natural body detoxification. More on natural body detoxification.